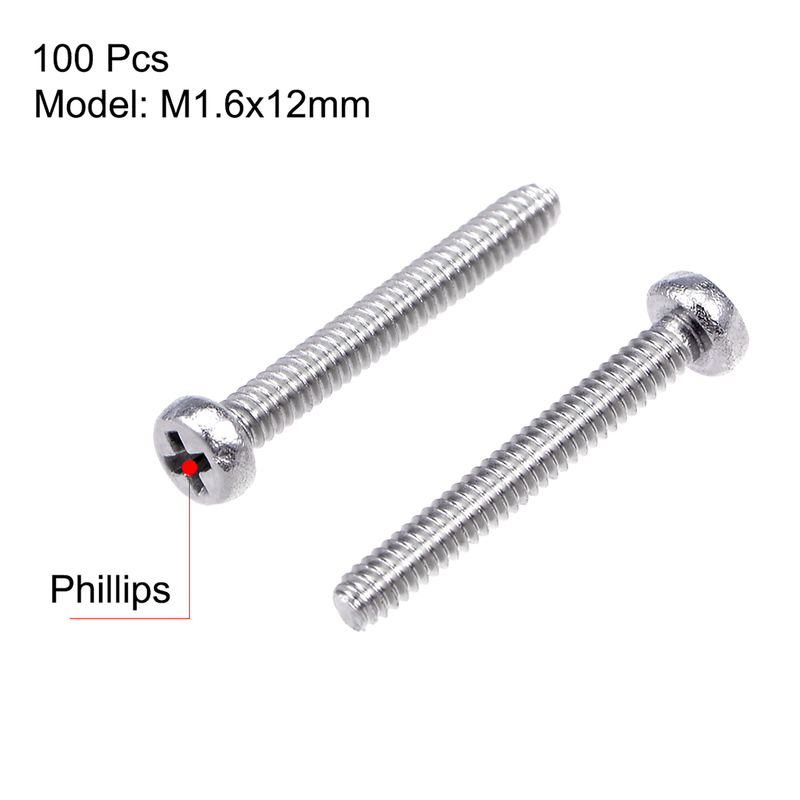 304 Stainless steel pan cross head screw used extensively where fasten is needed. Widely used in furniture industry, wind power industry, the aerospace industry, office equipment industry, petrochemical industry, the electronics industry, the communications industry, shipbuilding industry, environmental protection machinery, etc. Screw Head Dia: 3mm / 0.12"